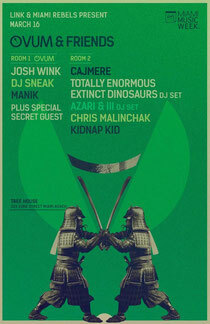 Ovum returns to Miami on Saturday March 16 and joins up with some of their top friends in dance music. In the Ovum Room, Josh Wink - who is set to release his first EP in four years next month, a ten-minute drive of beats bating towards a huge breakdown, entitled 'Balls', because he said you need them to play it - will headline. Joining Wink will be DJ Sneak, Ovum artist MANIK, who has also released on Hot Creations, Culprit, Poker Flat and more, and a secret guest to be announced. 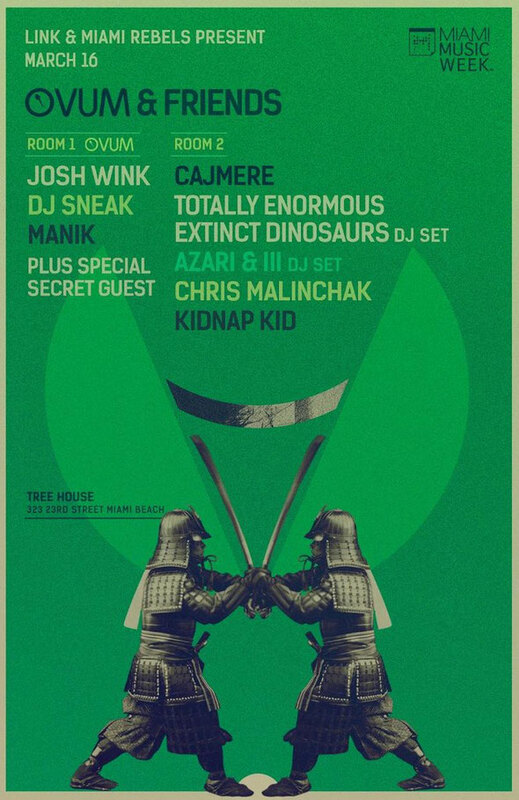 In the 'Friends' room, Cajual label boss Cajmere AKA Green Velvet AKA Curtis Jones, will be joined DJ sets from two of dance music's hottest properties – TEED (Totally Enormous Extinct Dinosaurs) and Azari & III, plus Chris Malinchak and Kidnap Kid. Ovum and Friends is at Treehouse, 323, 23rd Street, Miami Beach.